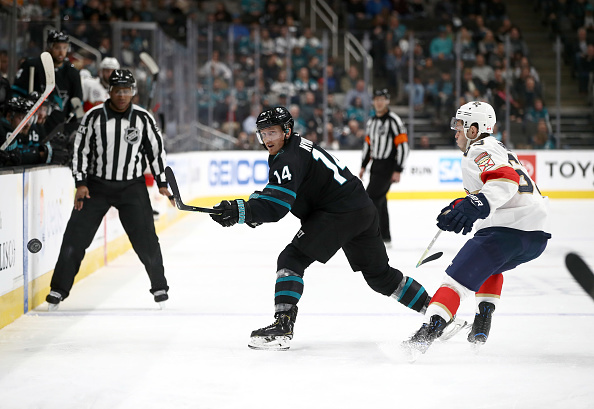 Unable to mount a late-game rally Thursday night, the San Jose Sharks saw their six-game win streak snapped in a 4-2 loss to the Florida Panthers at SAP Center. With Calgary idle, San Jose retained its 1-point lead atop the Pacific division. This post was originally posted at http://www.nbcbayarea.com/news/local/Sharks-Win-Streak-Snapped-at-6-in-Loss-to-Panthers-507185451.html.